Deciding on the appropriate eyewear for you is an important decision that requires personal attention from an eyewear professional. 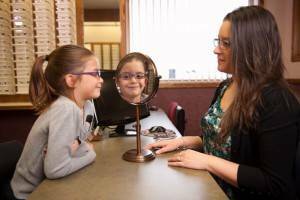 At Bridger Eyecare we offer the kind of personal assistance that helps us stand out from the rest! We will help you through the process of choosing from among many kinds of high quality eyewear styles to get the proper look for your face shape and lifestyle. Our trained opticians are here to assist you to find the best fit for your specific needs and explain how different lenses and frames will impact your vision. They will help guide you so you can find the proper look, fit and functionality you want from your eyewear. We carry a huge choice selection of high quality eyeglasses, contact lenses and designer frames and sunglasses. We also stock the latest European and American designer eyewear collections in a variety of styles, colors and materials including titanium, stainless steel and plastic. Stop in to our family oriented office - new clients and all our current patients are welcome to visit us with their current prescription – no appointment necessary. Eyewear for the outdoors is a world unto itself. Dr. Roth has some great tips for the best eyewear for you when fishing. 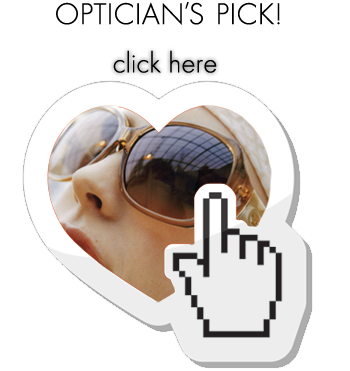 Computer glasses are specialty eyeglasses intended to address the unique visual needs of extended computer and smartphone use.